The Village School is a college preparatory school serving over 1,700 students from early childhood through 12th grade. Located in the Energy Corridor of Houston, Texas, The Village School attracts an international population, including many Aramco Expat families, which enriches the school community with a global perspective. Inside a collaborative, nurturing, diverse, supportive and ever-growing community that feels more like family than school, Village's hands-on, innovative methods of teaching, particularly in math and science, and personal attention to students, develop life-long learners and determined problem solvers who are fully prepared to be leaders in the 21st century. The Village School intimately understands the importance of math and science, offering differentiated programs integrated with the arts and spearheaded by a passionate and innovative group of educators who lead, inspire and excite. As the only boarding school in Texas to offer the International Baccalaureate Diploma Programme (IB), The Village School is committed to developing inquisitive life-long learners prepared to think critically, to collaborate genuinely, and to give of themselves generously, as they prepare to lead the next generation into an ever-changing world. In addition to outstanding academics, a wide array of fine and performing arts, athletics and extracurricular activities are integrated to help students uncover hidden talents and discover new passions. The Village School is nestled within a quiet, tree-lined residential area in West Houston on a beautiful 28-acre campus. The Village School facilities include 200,000 square feet of technologically advanced classrooms, as well as two gymnasiums, student cafeteria, multiple science and computer labs, two libraries, music and art rooms, a dance studio, dormitories, and outdoor athletics fields. Boarding students live in newly-built, on-campus dormitories with two to four students per room. The dormitories offer amenities such as common rooms, kitchen areas, quiet study rooms, and the location on campus offers convenient access to school facilities and after-school activities. The dormitories are staffed by one or more full-time dorm parents who manage the residences and are available to support the social and emotional well-being of the students. On the weekends, students can take part in all that Houston has to offer including shopping at The Galleria, visiting the Museum of Natural Science, going to the NASA Space Center, and attending professional sports games among other activities. 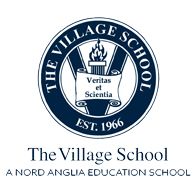 The Village School offers discounts for families interested in 5-day boarding.